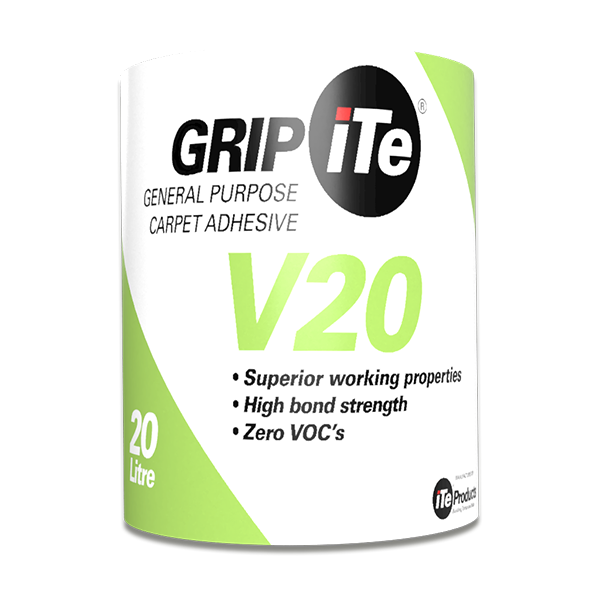 GRIPiTe H80 is a one-part silicone modified polymer hybrid adhesive designed for bonding various materials such as Artificial Turf, Engineered Wood and Composite Rubber sports floors. GRIPiTe H80 is moisture curing, which makes it totally resistant to water and any residual moisture in the concrete. GRIPiTe H80 builds up tack rapidly, has very high bond strength and will prevent any delamination or breaking loose from the substrate provided there is no delamination in the substrate itself. The adhesive retains slight flexibility for its lifetime, and will not harden or break down. 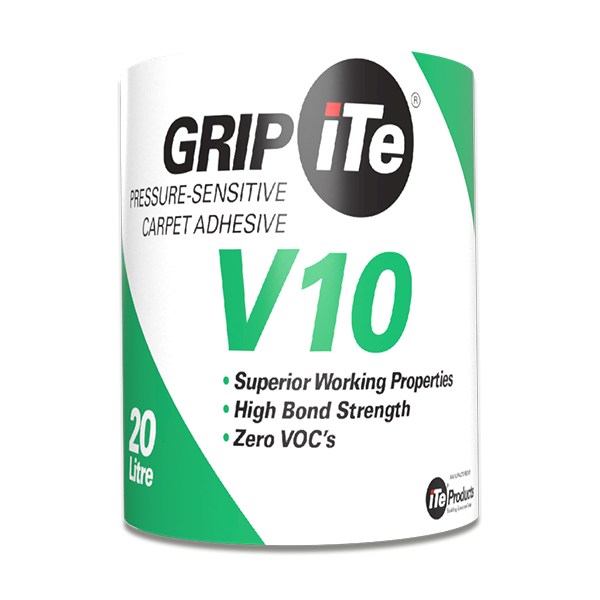 GRIPiTe H80 is guaranteed to bond the flooring listed above to concrete for the lifetime of these listed products, provided installation instructions are followed. 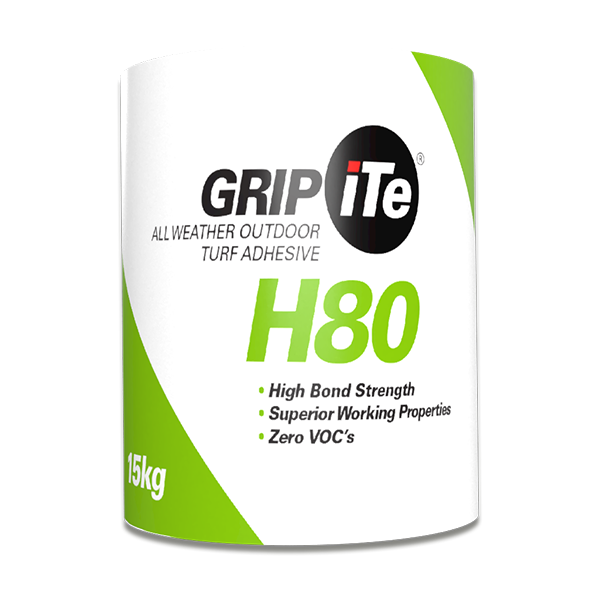 In line with international standards, GRIPiTe H80 contains no VOC’s, is solvent-free and completely compliant with all GBCSA green building requirements, and can be used either indoors or outdoors. Due to GRIPiTe H80 solvent-free composition it can be safely used in applications onto waterproofing systems, such as torch-ons, bitumen and acrylic. Its flexibility aids in preventing the glue-line from fracturing under low levels of expansion and contraction of the waterproofing system. Before installing over the waterproofing, consult with the manufacturers of the synthetic grass and waterproofing systems for any special precautions or specific instructions. GRIPiTe®H80 is pre-mixed and does not require mixing. When the container is opened for a second or third time, any film on the surface must be stirred into the liquid to remove any lumps. GRIPiTe®H80 will cover between 1 and 2m² per kg depending the smoothness of the screed and the notch size of the trowel. All data supplied is based on laboratory tests conducted at 20ºC, and 50% Relative Humidity. On-site atmospheric conditions may require adaptation to suite circumstances. Tools and equipment must be washed with warm water to remove adhesive residue. Do not ingest. Keep away from children and pets. Wear rubber gloves, and in the event of prolonged contamination, rinse thoroughly with cold water. Seek medical attention if irritation persists. Consult our Material Safety Data Sheet for more information. The information supplied in our literature or given by our employees is given in good faith. We reserve the right to update this information at any time without prior notice. We guarantee the consistent high quality of our products, however, we have no control over the site conditions or execution of the work. We accept no liability for any loss or damage which may arise as a result thereof. GRIPiTe®H80 Synthetic Grass Adhesive is manufactured to comply with the required standards for use as an adhesive for bonding synthetic grass to cement based substrates. This warranty is based on the substrate being sound, dry and free of contamination. All application is to be carried out in strict compliance with the method statement as issued. iTe PRODUCTS further warrants that the products are manufactured to strict quality control standards and that the products supplied are free of defect. We cannot be held responsible for failure due to excessive moisture, flooding or the substrate failing for any reason, or application of the adhesive in a manner not suited to the circumstances. A band of adhesive of 200 to 300mm wide is spread along the joins, covering both sides of the sheet, and around the perimeter. It may be deemed necessary to apply 200mm bands every metre across the width of the sheet. 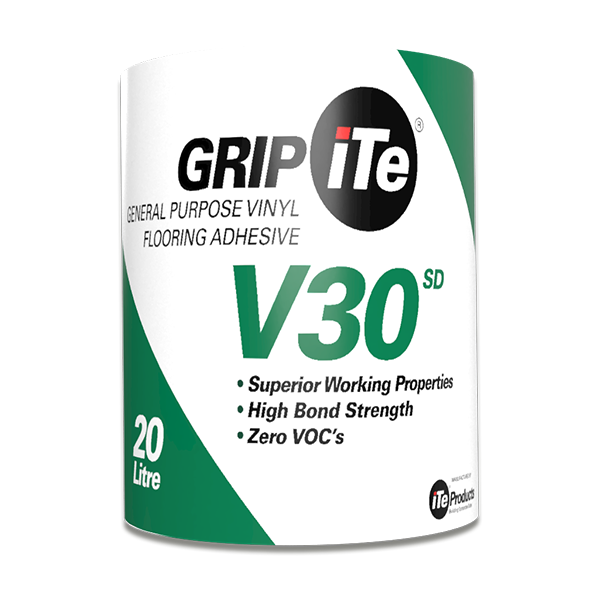 As GRIPiTe®H80 is moisture curing, the open time or working time for the adhesive is between 20 and 30 minutes. The higher the moisture the faster the setting. GRIPiTe®H80 becomes tacky rapidly, and the synthetic grass must be laid into it while wet. Apply pressure to the synthetic grass in order to ensure good contact between the underside of the grass and the adhesive and transfer of adhesive onto the back of the grass. Once placed, the synthetic grass should not be moved during the setting process. This is based on the fact that the product contains no organic solvents.